– This is the finest photographic jewel we have in our collection, and perhaps also in an national context. The photograph shows the city of Kristiania (today Oslo), says Wlodek Witek, curator of photography at the National Library. 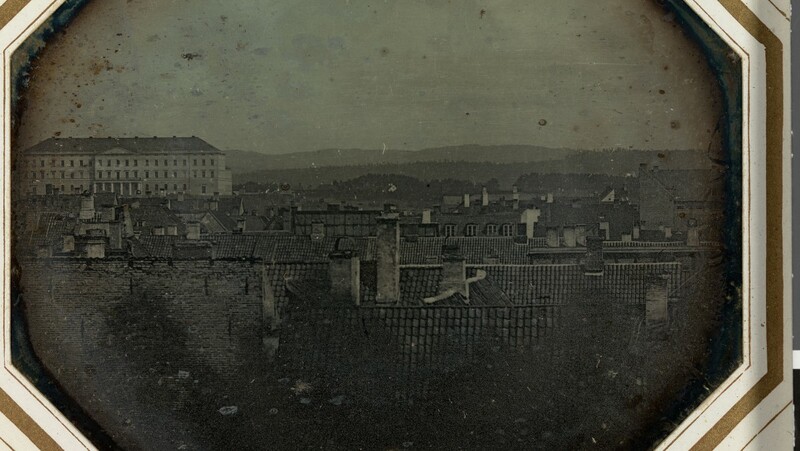 They believe this is the oldest photograph of Oslo because the castle (top left) has a sloping roof. It was rebuilt in 1846. The photograph was completely unknown to the Norwegian Historical Photo Association until three years ago, when it was discovered in Denmark. The photo was bought from a private person. After the National Library acquired the photo, they examined who the photographer was. – On the mat at the front of the picture we see the name TESTMAN fecit. The name was unknown to us and the Norwegian history of photography, but we have managed to obtain some information about him, Witek says. How much the museum had to pay for the picture is a secret, but it is clear that the photography was not cheap. – What I can say is that it was a six digit price. With this picture we are in the very beginning of photography, and many collect old photographs showing familiar buildings and landscapes. That makes them more valuable, Witek says.